The Chinese architect William Lim, founder and managing director of Hong Kong-based CL3 Architects has always had a great affinity with the world of art. The Chinese architect William Lim, founder and managing director of Hong Kong-based CL3 Architects has always had a great affinity with the world of art. 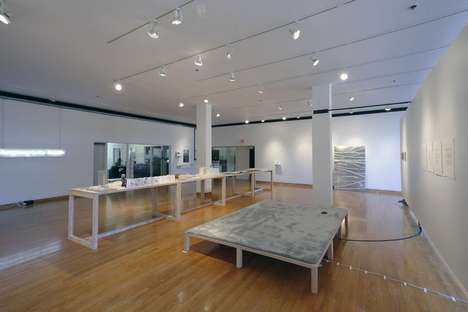 The exhibition at the John Hartell Gallery in Ithaca, NY, combines a selection of William Lim's architecture and his collection. 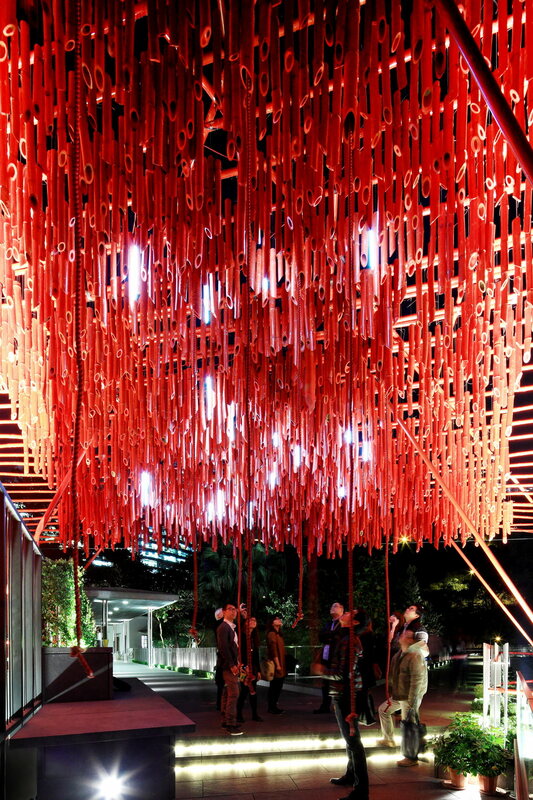 The Chinese architect William Lim is the founder and managing director of CL3 Architects, an architecture and interior design firm renowned for its conceptually clear and materially sensuous design ethos. 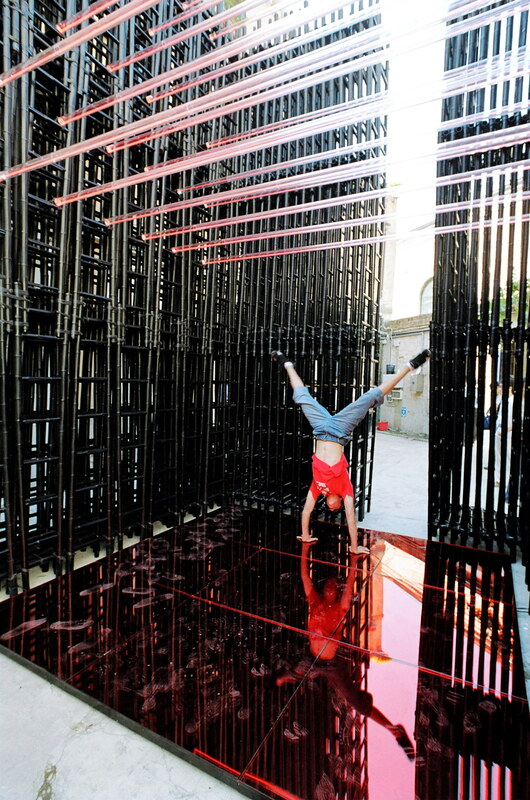 Lim's work includes a number of acclaimed experimental constructions that hover between art and architecture, such as Ladders (2006), a monumental installation made of neon-lit, hand-tied bamboo ladders, presented at the 2006 Venice Biennale of Architecture; Lantern Wonderland (2011), a 37-meter-long bamboo fish crafted from thousands of traditional Chinese lanterns for the Mid-Autumn Festival in Victoria Park, Hong Kong; and Bamboo Wind Pavilion (2013), a wind chime exhibited outdoors at the Asia Society Hong Kong Center. Lim began collecting art more than ten years ago, focusing on works by Hong Kong artists. Guided by his architectural training and artistic sensibilities, he followed a strategy of working directly with emerging artists, many of whom have since risen to international prominence. Lim's collection, housed in a warehouse in the Wong Chuk Hang district of Hong Kong, was opened to the public in 2015 during Art Basel Hong Kong and has since become a major destination for contemporary Asian art. The exhibition opens on 22 January at the John Hartell Gallery, Sibley Dome in Cornell University, Ithaca, NY, and runs until 15 March. 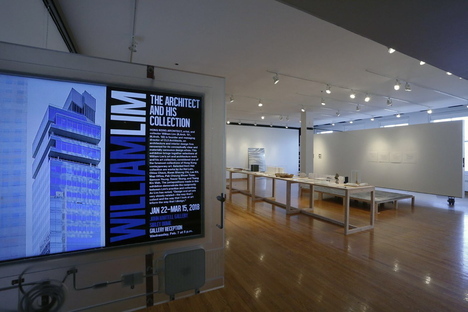 It brings together selections of William Lim's architectural work - including drawings and models done while Lim was a student in Cornell University's Department of Architecture, as well as several of his installation projects and works from his art collection. Many of the artworks on display, by artists such as Au Hoi Lam, Chloe Cheuk, Kwan Sheung Chi, Lee Kit, Map Office, Pak Cheung Shuen Tozer, Samson Young, Trevor Yeung and Tsang Kin Wah explore art as a gesture or system of dealing with loss, displacement, the unaccountable, the ephemeral, and, while doing so, function like letters addressed to the viewer. An invaluable opportunity to better understand the interchange between Lim's architecture and art. As he says, “Design and art are very closely related — the way that I collect and the way that I look at art inform the way that I design".